This entry was posted on September 12, 2017 at 8:30 pm and is filed under Cultural History, Natural History. You can subscribe via RSS 2.0 feed to this post's comments. Your post here has exactly the details I wanted to see! I drove through the Gorge twice in the last 3 days out of necessity and wasn’t able to take quality time to stop and look. I really appreciate all the labeling. I can pick out a few features but wish I could name all that I’m looking at. Thank you! Will eagerly watch for more. Thanks for pointing out that fire has always been part of our PNW forests. Yes, the landscape we were familiar with has been altered but remember we had the same feeling of loss after the 1980 eruption of Mount St. Helens. 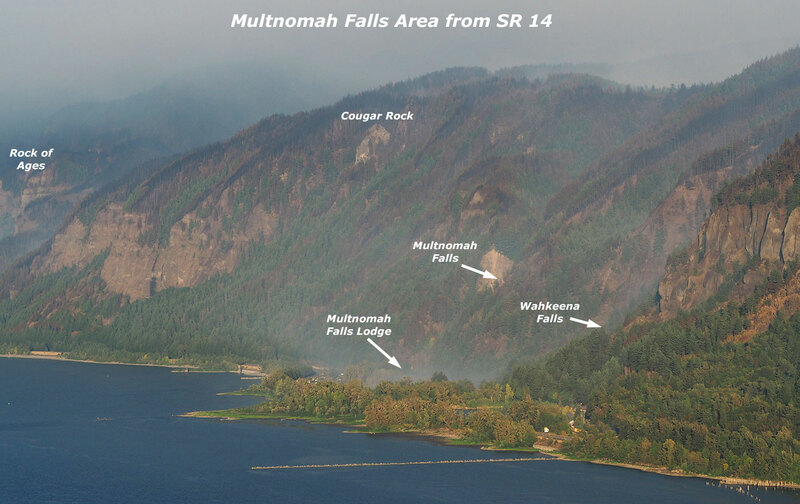 Consider how amazing it has been to watch and learn from the natural recovery of that area; we have the same to o look forward to in the Gorge! The mosaic of green, unburned areas among burned areas will help speed the recovery of vegetation. Right on – we must NOT allow ANY LOSS OF TRAIL MILEAGE AFTER THE FIRE!!! WE need to keep the pressure on the Forest Service and Congress to make trail restoration a funding priority. Excellent source of information. Thank you for taking the time. I was just curious if you know the name of the mountain in the background of the photo titled “Bridge of the Gods at SR 14”. It seems very prominent in the city, but I cannot seem to find a name. I live in Michigan but spend summers in the Gorge windsurfing and hiking. 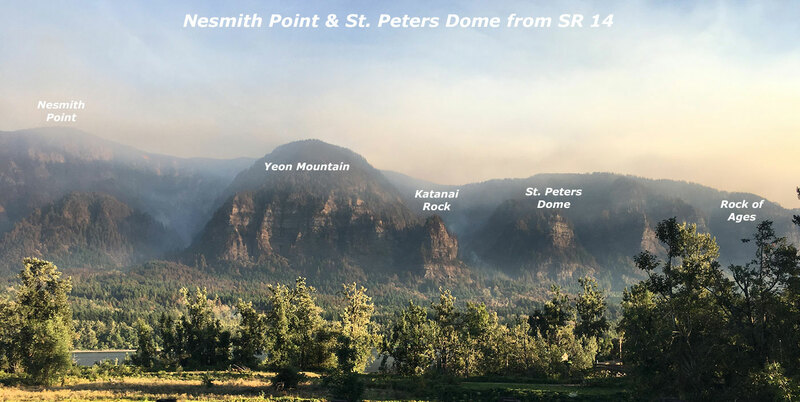 This summer I hiked just about all the trails affected by this fire. Thanks so much for the excellent photos and details. It will never be the same, but change is a fact of life. I am quite horrified at the suggestion that the trail system to be expanded to meet the increasing demand of people who live in Portland. The gorge may be a “second home” to Portlanders and other outsiders, but for the residents of Corbett, Cascade Locks, and Hood River, it is our first and only home. You are all outsiders. I remember what the the Gorge was like before it was strewn with broken glass and used condoms from Portland people who saw the pristine wilderness as their personal playground. MANAGE AND RESTRICT ACCESS TO THE GORGE. If the people of Portland demand the right to fill up our sacred spaces with their dog’s feces, they should pay dearly for it. USFS. I worked ‘trail crew’ in the Southwest for the FS. Funding was minimal and we covered a large area. It was seasonal work. We were all experienced and dedicated to our task. With all the money the federal government garners through taxes, funding adequate trail crews requires a minuscule amount of cash from a big fat budget dedicate to numerous questionable activities (count those as you wish). The emphasis on ‘volunteers’ is ludicrous, no matter how laudable, there is plenty of funding to dedicate to hiring dedicated experienced individuals or training crews. The means to applying public pressure to provide such resources is difficult to muster, but should be encouraged. There is a lot of work to be done. I would agree with that, “Raoul” — in the long term. Right now, the fact is that Gorge trail crews are about one third of what they were as recently as the early 1990s. That’s a result of budget priorities in Washington DC and within the USFS. So, until we turn those ships, volunteers are all we’ve got to stem the tide. @Dia Holly — public lands are owned by all of us, so I respectfully disagree that anyone is an “outsider” in the Gorge. Not everyone has the luxury of owning a private slice of what I would agree is a “sacred space”, and trails are one of the best ways for all to appreciate the Gorge, no matter their financial means. Excellent, informative article with a long-term perspective. The photos very helpful, too. Once again, WyEast lives up to long-time traditions of good stewardship. Yes, fire is a natural occurrence and dryer summers have resulted in more and larger fires. 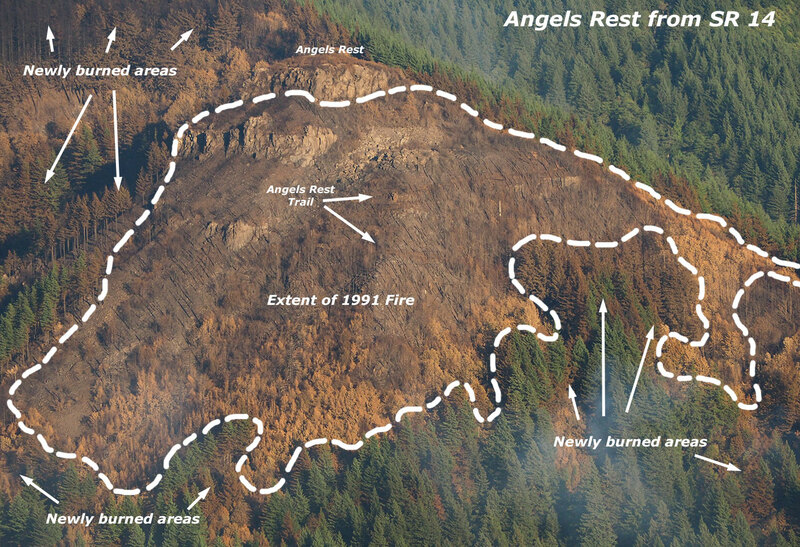 However, the Eagle Creek fire was an entirely avoidable human caused fire. This fire has a clear cause (idiot teens throwing fireworks off a cliff into dry brush on the Eagle Creek Trail). Important to keep this fact in mind, the devastation caused by these foolish young arsonists (who had started previous fires in natural areas) and suffering were not the result of natural forces (unless you include Climate Change). might deter others from repeating their actions. Thank you! Very good interpretation from a knowledgeable person. the gorge fire. I loved my time driving thru it a number of years ago. the beauty even from the road. This is a really useful and welcome overview. Thanks! I’m hoping we learn some lessons from this, and perhaps that it becomes a turning point for better management of the Historic Highway area. Like many people, I feel the conflicting desire for better infrastructure to deal with the increasing usage and the realization that perhaps we need less people out there which would likely be accomplished through a fee system. Either way, I hope we don’t lose too much trail access and that when it’s safe, people are able to get out there and watch it regrow over the next few years. The public lands in the Gorge belong to the citizens of this country. 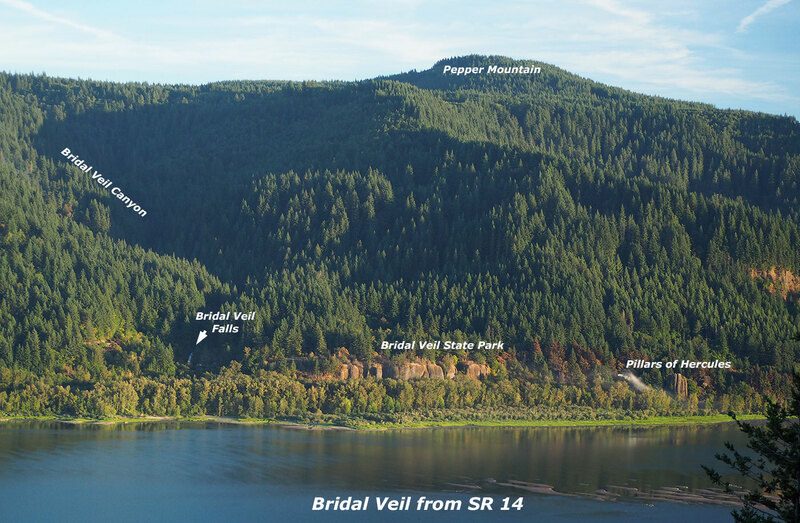 Some individuals are lucky to own private property in the Gorge. The problems described above are from a few people who, unfortunately, never learned to respect nature, nor the rights of others. Please, do not paint all of the public as careless because of a few individuals. Many of us carry our trash out responsibly, and pick up after our dogs. Great photos and information. Suprression of wildfires has set us up for conflagrations, and we pretty much lucked out this time. Inasmuch as most of us did stupid things as teens, isn’t it reasonable to consider this a natural occurrence as well as a human-caused fire? JP Moore: Human idiocy and white male privilege are certainly natural occurrences in our country, but let’s not malign Mother Nature in this. 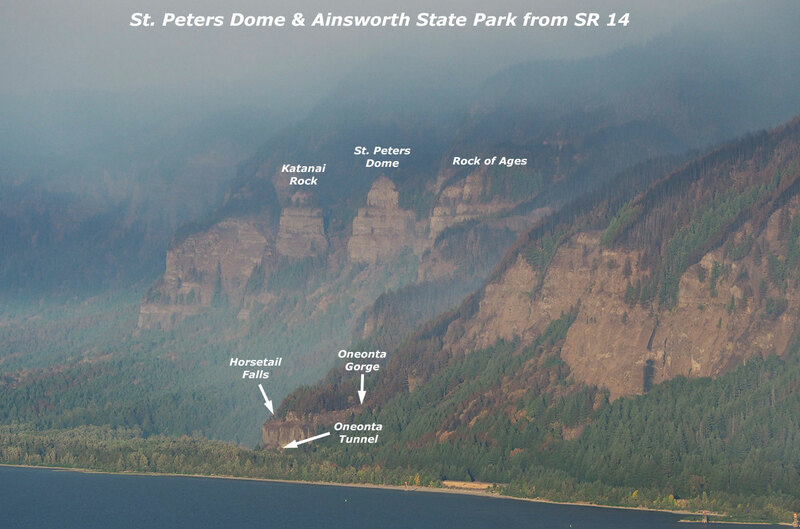 It is vital to the future protection of our Gorge to acknowledge that this was a human-caused fire. Actions NEED to be taken to prevent ANYONE from playing with fireworks in our public lands and forests. 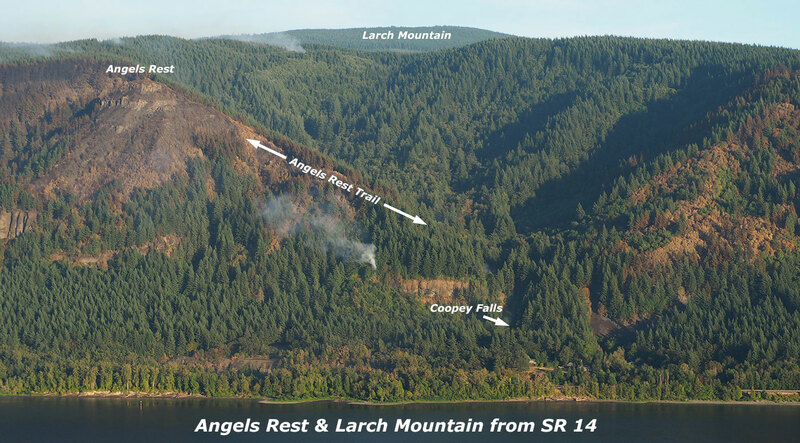 While many fires cannot be prevented, this one could have been entirely prevented- and any speculation of whether another devastating fire of this scope could have occurred in the Gorge naturally is entirely speculative and beside the point at hand. Those culpable include the dimwitted teens playing with smoke bombs in a forest in the peak of a dry season during a burn ban, their negligent and complacent parents, the vendors who sold them the smoke bombs, and our society that benignly pats our boys on the back and says “boys will be boys” when we should be saying “enough is enough.” If these children were old enough to drive a vehicle without parental supervision and to set off smoke bombs without parental supervision, they’re old enough to realize and understand the scope of their actions. We need to teach our children to be good stewards of the earth, not to be little sociopaths who like to film themselves making things go boom! and then laughing as they burn. To the original poster: thank you for sharing your photos. It’s so hard to see the Gorge like this, but among the charred sticks it’s encouraging to see the green scattered throughout.